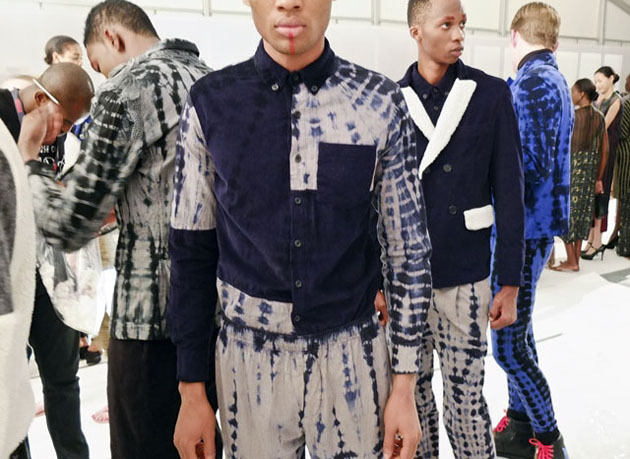 A few seasons ago, Nicolas Petrou caused quite a stir during a New York fashion week with his avant garde runway performance featuring checker headed nomad boys, but Petrou isn’t a newly-born fashion star. Quite the opposite, the Cypriot designer who graduated from St. Martins back in 1993 has for many years worked for various brands including his own women’s line Petrou, before creating the new high end men’s wear line back in 2009. After some years of runway shows in New York, supported by PR powerhouse Kelly Cutrone, Petrou decided to move his presentation to southern latitudes. 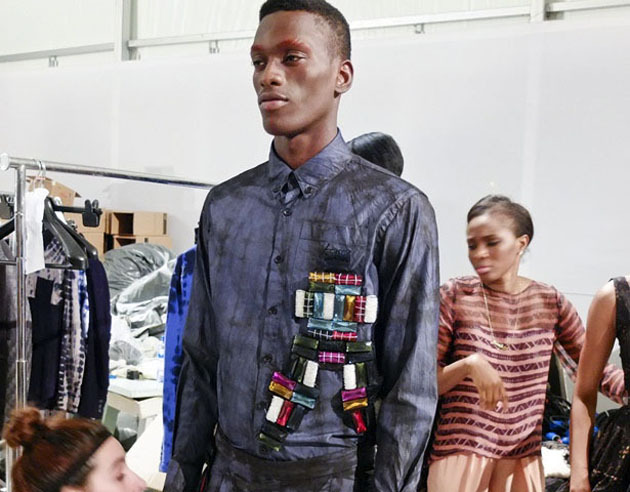 The Nigerian city of Laos has since 2011 been the host for the Arise Magazine Fashion Week, and during the last edition, the Petrou circus was invited, and the collection was coincidentally, or strategically enough – African inspired. 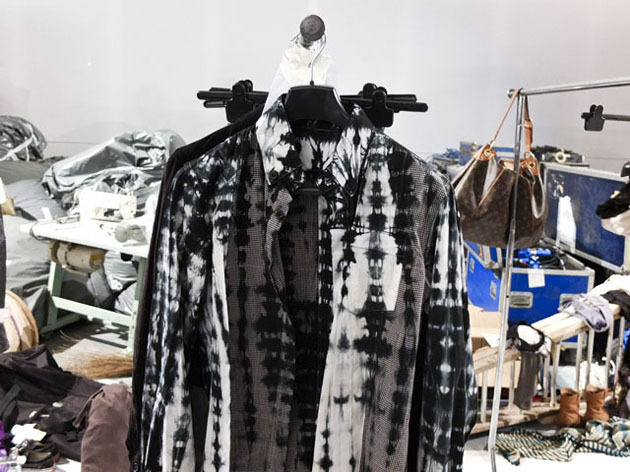 The presentation was a low key installation in comparison to the usual Petrou standard, but perhaps not when it comes to colours, or more specifically speaking – patterns; the collection was heavily tainted by tie-dye patterns in blue and grey nuances. The silhouette for the fall and winter was of a slim, relaxed, and highly wearable kind, except for an intermission by a low-necked number with an accentuated waistline. On a more interesting note, the greater part of the collection had advanced detailing such as appliqued braided tulle on the shoulders. 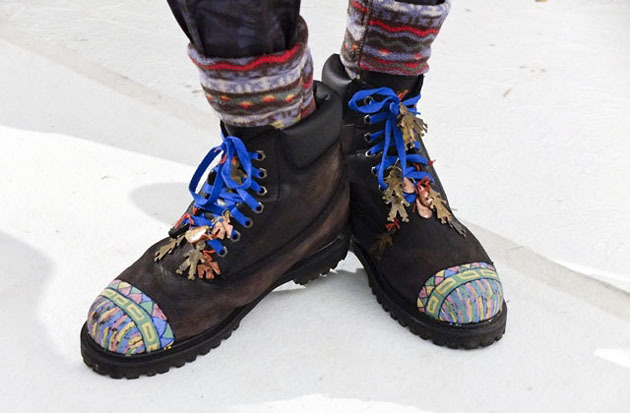 Multi coloured mosaic-looking pieces had been sewn on to on blazers and shirts, which somewhat resembled the flags of the African continent, and the shoes made for a nice Do It Yourself-moment with its hand painted tribal markings and skulls. “My objective is to sell of course. I create fashion for people to wear, so I need to make the work wearable if I want to continue creating. But I always like to have some editorial pieces that are more out there because those are the pieces that attract attention”, Petrou acknowledges.